28 years old, born in Gibraltar and spearfishing from the age of 5, together with some friend of his he will take us on journey in the wonderful waters of the strait. It’s located on the southern end of the Liberian peninsula at the entrance of the Mediterranean between Morocco and Spain. Although it is located in southern Spain it is a British land in which many different cultures live together. La Seca is most definitely the best one where many divers tend to dive since it is located very close to the Gibraltar strait and for this reason is full of marine life of any kind. La Seca is a massive rocky shoal out of Europa Point stretching hundreds of meters in either direction, with a depth ranging from 5m to over 40m. Depth can change dramatically since there are real underwater hills over there and it takes attention. Another thing to take care of is represented by currents that can suddenly turn from weak to very strong. For this reason whenever you decide to dive there you should get a boat in order to safely come back home. What kind of conditions generally characterizes these areas? As I said before strong currents are one of the main issues and visibility ranges from 5m to a max of 20m. There are two main winds blowing on our peninsula: Levante (an east to northeast one) and Ponente (a west to northwest wind). When their blowing is weak it is possible to dive in good conditions on both sides of the peninsula but in presence of strong wind you can dive properly and safely only on one side of it. In case of strong Levante the eastern waters become really choppy and warm with a maximum visibility of 5mt as they tend to turn to green. For this reason the only way to dive is to move to the western side. When a strong Ponente instead blows on Gibraltar, it is the opposite: the western side becomes choppy and on the eastern side the water gets very cold but really good to dive in with good visibility. During the summertime water temperature ranges from 19 up to 22 degrees with a maximum visibility to 20m During the wintertime instead water temperature drops to 13/15 degrees and also the visibility gets lower. Although the water becomes murky it is always possible to dive. Winters over here are not generally that cold and you can always find weather conditions suitable for spearfishing. Which condition is best and what types of catch you get on each season? Generally we can get any kind of fishes all the year long like Sea Basses and Bonitos. Big Bonitos and Sea Basses are normally caught in winter but the latter very rarely go over 5kg (even if I know bigger ones have been caught). The main size for Bonitos instead ranges from 3 to 5kg but in winter we can catch bigger ones. Dentex can generally be found during the summertime in schools where the water is warmer. Here some spearo mates have caught them up to 6/7kg but their normal size ranges from 4 to 5kg. This also applies to meagres but occasionally they have been caught during the wintertime. Groupers and golden groupers are well known to get heavier than 10kg but fishes so big can be caught only in deep waters. We all know that in summer they tend to stay out of their den but because of the intense boat traffic they tend to stay unusually near their den. A good thing here is that Gibraltar waters are not that deep so we can find all species in shallow waters. What are the techniques that best match hunting in Gibraltar? In Gibraltar you can mainly use all kind of techniques. Spearfishing in shallow waters looking at crevasses can be used mainly in the western areas and on wrecks were many types of preys can be found while the espera, (waiting technique) can be used in deeper waters like the ones in the eastern side and in La Seca. I have a passion for wrecks and for spearfishing on them, where can we find them in Gibraltar? In regards to the wrecks there are many of them and represent one of the main attractions to divers in Gibraltar. There are more than 20 wrecks to choose from and most of them are located on the western side. They can be found near the coast but you will need a boat to reach some of them. A map with the location of the wrecks can be found in Internet. The “SS Roslyn” a 3500-ton steamship found half way outside the south mole 10m off the shore at 14 to 22m is the most popular one because it holds more life than any other due to the amount of baitfish it has. From Sea Basses to big preys like the Amberjacks can be found it’s just the case of being at the right place at the right time to catch that One Fish. What kind of wrecks are and at what depth do we generally find them? Are they in good conditions? The good thing about all wrecks is that they can be found from 6m to 30m in depth giving the chance to both novice and experienced divers to choose which wrecks to dive on. Most wrecks are intact and are mainly big vessels. Some of them on the eastern side can be found deep, torn or broken. There are many types of wrecks, ranging from 10m fisherman boats to massive tankers up to 40m. Wrecks do represent a potentially dangerous environment in which there are big passages and voids where your catch can get tangled and before shooting these aspects should be taken in consideration. Due to its position the strait of Gibraltar represents a massive channel of life passing through the Mediterranean with strong currents. Big predators like amberjacks, meagres, tunas, swordfishes and whales can get disorientated when entering the harbor. However in general terms preys like groupers, dentex, sea basses and breams are the most common ones on the wrecks. Gibraltar is known for having a wide range of fishes passing by but due to Gibraltar being a busy harbor (naval ships and tourist vessels) the sea gets very noisy and this might in some cases affect the fish’s behavior. Is spearfishing on wrecks or in other areas restricted or regulated somehow by local authorities? There are no licences to dive in Gibraltar waters, but Spanish police patrols can make it difficult sometimes. The only issue is that on bathing season when the yellow buoys are set off the beach, fishing or spearfishing is permitted. Many spearfishing spots can be accessible from land but due to the intense traffic on the surface the use of a proper buoy is suggested for your own safety. Centollas (a kind of big crab) are forbidden and if you catch one you can risk a big fine. 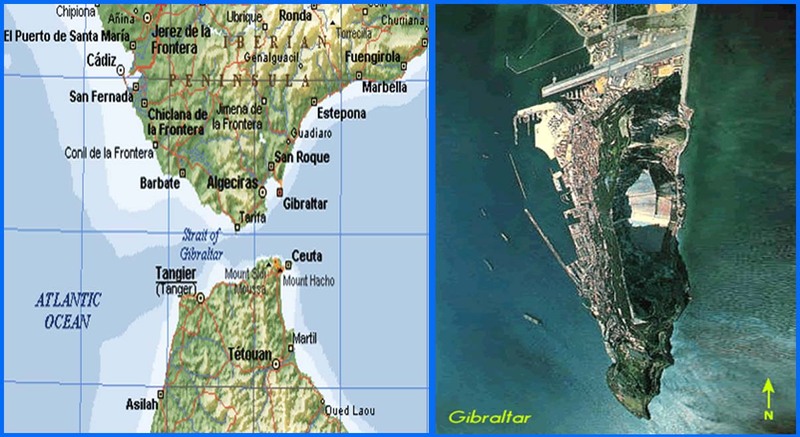 What Type of wetsuit is recommended to use in Gibraltar? With a 5mm wetsuit you will be comfortable all the year long, but some people prefer a 7mm jacket and a 5mm trouser for winter. Are there any vehicles or diving rentals in Gibraltar? There are no renting facilities for spearfishing but there is a couple of diver shops were you could rent a wetsuit. Car rentals are available in the Gibraltar air terminal or in Spain were passport and driving license are required. Are there any cheap Hotels available to stay in? And which period of the year is best for visiting or diving in Gibraltar? There are many Hotels and Hostels in Gibraltar with different prices. Price range changes constantly and some hotels are not even online but if you contact us on Facebook we will suggest and arrange bookings to anyone. Best time to dive or visit is summer time from June to August when waters are warm and plenty of fishes. One thing to take in consideration is that during the summertime there are lots of divers in the water so reaching the spots early could make the difference. 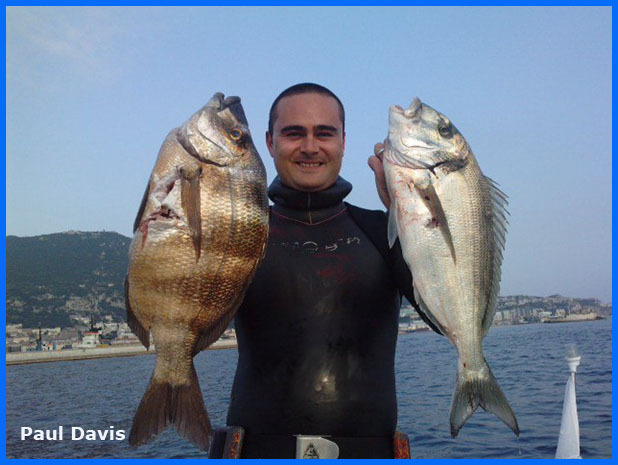 Who can I contact for more information on spearfishing in Gibraltar?